Print your photo on metal with Print Shop Lab! Our archival production service will turn our photo into a unique work of art. Easily upload your photos to our website and create a floating metal print for your wall that features the best contrast and color, bringing your memories to life! 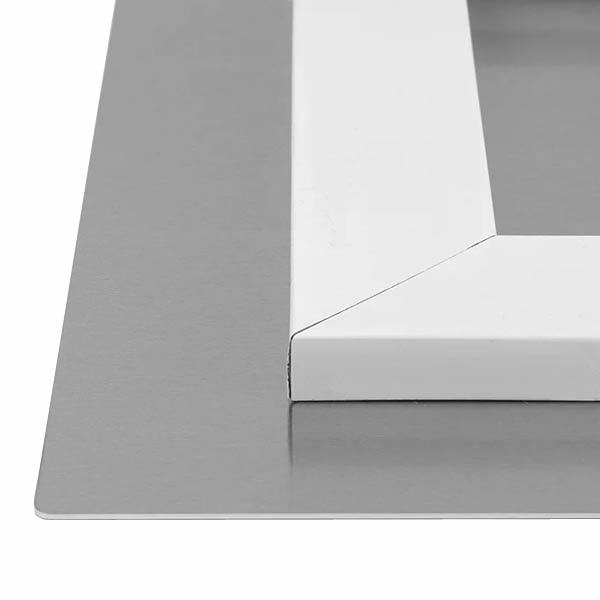 Each aluminum panel includes floating mounts for easy hanging on any wall. Mounts provide “floating” effect when hung. Photos are applied directly to the white aluminum surface for the best color, clarity, and contrast. Each panel print includes rounded edges. All aluminum photo prints start out with a white, high gloss aluminum panel. 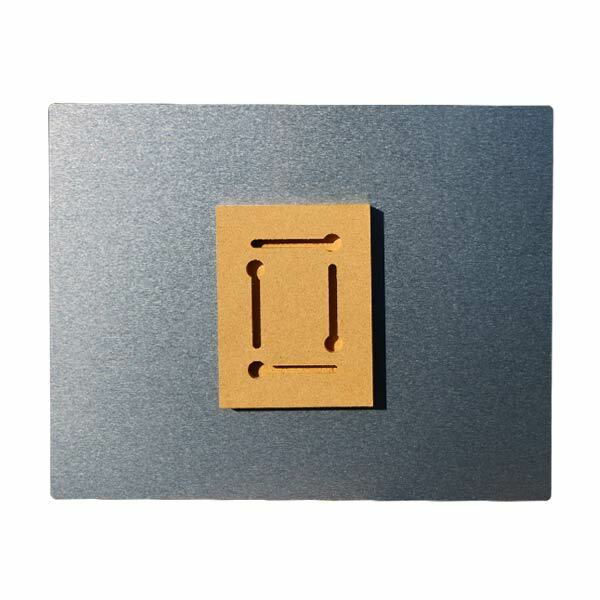 Then, we infuse your image into the metal with our high quality, proprietary inks. Afterwards, a protective coating is introduced for durability and a lustrous surface. The results are amazing! Enjoy rich colors, dramatic contrasts, crystal clarity, and a 3-D like representation of your favorite photographic moment. In addition to a 3-D depth, our Chromaluxe wall prints have a sophisticated, elegant look that is sure to draw attention to your decor! Furthermore, our metal prints include a floating hanger so they appear to hover on your wall for a unique flair. Frame-less prints are a great way to get that contemporary, minimalist look, and aluminum prints are ideal for printing both color and black and white photos. Enjoy crisp lines and crystal clarity that instantly updates the look of your home’s interior with an exciting display of your photographic treasures. Speaking of contemporary or modern decor, we also offer photo panels on wood that include a high gloss surface. Choose from multiple sizes and easily add a splash of color to your walls to brighten the mood of your home! At Print Shop, you can take any picture and transform it into a special keepsake or decor accessory! Moreover, we offer so many custom options so you can let your creativity reign free and design something that you and your family will cherish for years to come. With that said, our aluminum panel prints are no exception. Maybe you have a cute photo of yourself with your friend taken during your last lunch date. Or, there’s a bright, cheerful family photo from last summer’s vacation. Whether they’re saved to your phone or computer, you can upload your pictures in minutes to Print Shop. Then, just choose your metal photo print size and position your image to center your subject. It’s that simple! Photos evoke happy memories and are sure to add character to your decor. Pick out your favorite photo and turn it into elegant wall art to liven up your home! Shopping for gifts can be time consuming and difficult. Instead of driving around town, create a gift yourself to give to a loved one. 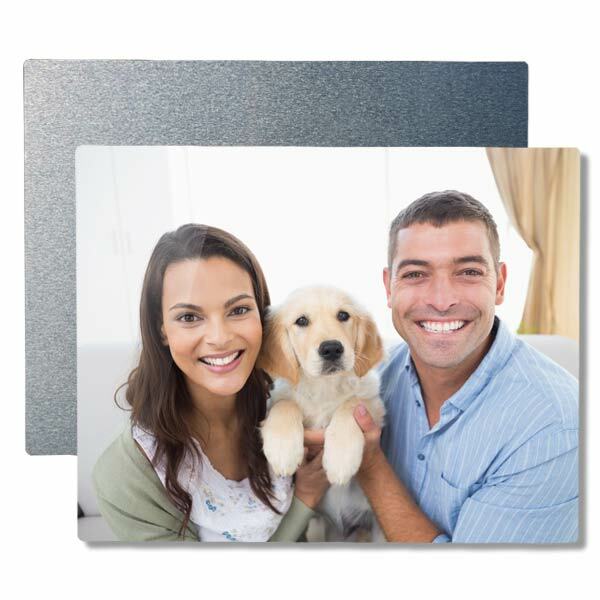 Moreover, our project builder is easy to use and you can make an aluminum photo panel in a matter of minutes and have it shipped right to your door! Maybe there’s a family selfie on your phone that Mom liked. Or, you have a cute snapshot of your sister’s cat. Upload them to Print Shop and create a unique gift that is sure to make your friends and family smile. Custom wall art never goes out of style and is a great way to enhance the look of any room of any style. No matter the occasion, our aluminum panel photo prints are a great gift idea for anyone on your shopping list. Our aluminum photo panels make a great addition to any home and can be mixed and matched with our large collection of wall decor options! Create a canvas print with a frame for a more traditional, warm look. We also have poster collage wall art that is printed on high quality paper and looks great in an elegant frame! Or, order photo prints and decorate your walls and surfaces with framed pictures of your best moments. As you can see, Print Shop makes custom printed photo decor simple and full of possibilities!